Danseong-myeon, Sancheong-gun, Saturday 7 September, 2pm. We’d had dinner with him the day before last, but this afternoon it was time to pay a more formal visit to Min Young-ki and to see his latest work. When I had visited the previous year, he had been preparing for an exhibition of his famous tea bowls in the Mitsukoshi Department Store in Tokyo. Everywhere in his reception room there were tea bowls – each unique, but all more or less the same size. The bowls have no overt decoration: the only colouring is the colour of the clay itself, but nevertheless this provides an almost infinite variety of ochre colours ranging from bluish to salmon pink to almost white. And the only finish is a glaze which covers all of the inside and outside of the bowl apart from the foot. So, entering his studio this time, it was a surprise to see a range of much larger pieces as well. The colouring is in a traditional buncheong style, in which the clay is covered in a white slip with naively uncomplicated animal or mountain patterns deftly engraved with simple, almost abstract lines. “Buncheong is a uniquely Korean art form,” says James CY Watt of the Metropolitan Museum of Art in New York, “a genre of ceramics without parallel in other Asian cultures, or, indeed, the world at large.”1 Yet for such a uniquely Korean art form it is strange that at the time it didn’t have a name. Goryeo dynasty celadon had the contemporary name cheongja, and Joseon dynasty white porcelain baekja, but the stoneware which came between the two did not get given a name till the 20th century, when art historian Ko Yu-seop came up with the term bunjang hoecheong sagi (분장 회청 사기 (粉粧灰靑沙器)) which roughly means “stoneware with gray-green slip”. Slip (분장 in everyday Korean means “make-up”) is the pale suspension of clay in water which is either painted onto the stoneware, or into which the vessel is dipped, which provides the means of surface decoration as the potter either engraves lines into it or scrapes it away to create bolder designs. “Buncheong’s decorative techniques and motifs – from everyday subject matter to imaginary creatures to abstract patters – are delightfully innovative, and integrate past and present, transcending time and space,” says Ra Hee Hong Lee2, Director General of the Leeum Samsung Museum of Art, which has a fine collection of buncheong. 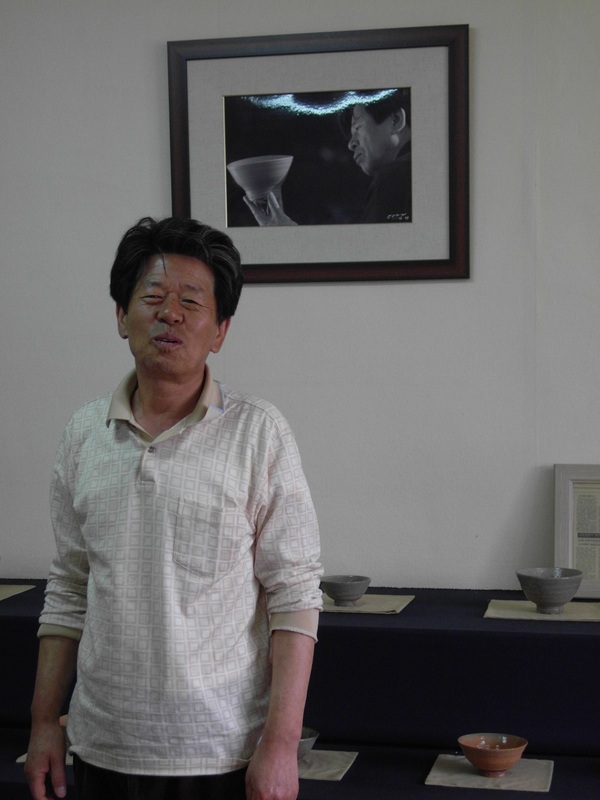 The original buncheong potters were active in the fifteenth and sixteenth centuries. Their work “embraced playfulness, rusticity, and the sign of the hand-made; to twenty-first-century observers, the resulting look conveys a modern, even modernist, sensibility.”3 So it is not surprising that twentieth and twenty-first century potters have sought to revisit the buncheong aesthetic and examine its possibilities. Although buncheong can be very refined in appearance, it is more commonly associated with a simple, restrained even rustic aesthetic, and sixteenth century Japanese tea master Sen no Rikyu valued it for its austerity and imperfection. Vessels can look solid, even chunky. So it was a shock when, as Min Young-ki passes one of his large vases – the size of a Joseon dynasty Moon Jar – and I gingerly take it into my hands, I discover that it is incredibly light, having the weight you might expect of a pot around half its size. Min told me he uses a technique which involves gently beating the vase with a small lightweight wooden bat. The process makes the clay both thinner and stronger. How this is done without damaging the shape of the vase is maybe one of Min’s trade secrets. Next time, I’ll see if I can get him to give me a demonstration. The potter takes us round his workshop to show us some of his work in progress – countless unglazed bowls stacked up on racks or waiting for further attention on the floor; some with designs sketched on them in readiness for more careful attention. The best of them will be fired, and of those a handful will make it to an exhibition. We return to his reception room, and his wife, as ever, brings us powdered green tea, whisked in the tea bowl to an almost luminous foam. I take the bowl almost reverentially in two hands, as does Kyung-sook. Min Young-ki takes his tea more casually, often holding the bowl in one hand. I observe closely, watching and learning. Maybe I’m being too formal, I think. Maybe it is now acceptable to let your hair down once in a while and only use one hand rather than both. Fashions and conventions move on, and maybe I’m still living in the twentieth century. So, for a couple of sips I try it casually with one hand. It’s not long before Mr Min passes comment to Kyung-sook, telling her to correct me. “It’s not until you’re a master like me, drinking out of your own tea bowl, that you can drink like that!” he laughs. 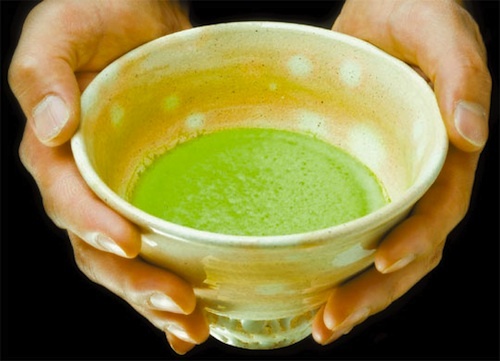 I return to drinking the tea two-handed, the better able to feel the shape of the bowl: the delicate turn of the rim, the gentle ridges around the body and the coarse unfinished roughness of the foot. And, as the great tea masters promise, my hangover is beginning to be cured. We finish the beautifully ripe peaches, sweet, soft and juicy, almost melting in the mouth, and then it’s time to leave. I have a date with the Sanshin of Jirisan.